Relationship problems after baby arrives are common. It’s a high-stress time when no one is getting much sleep. It’s also the time you most need to work as a team! Who planned this anyway?! 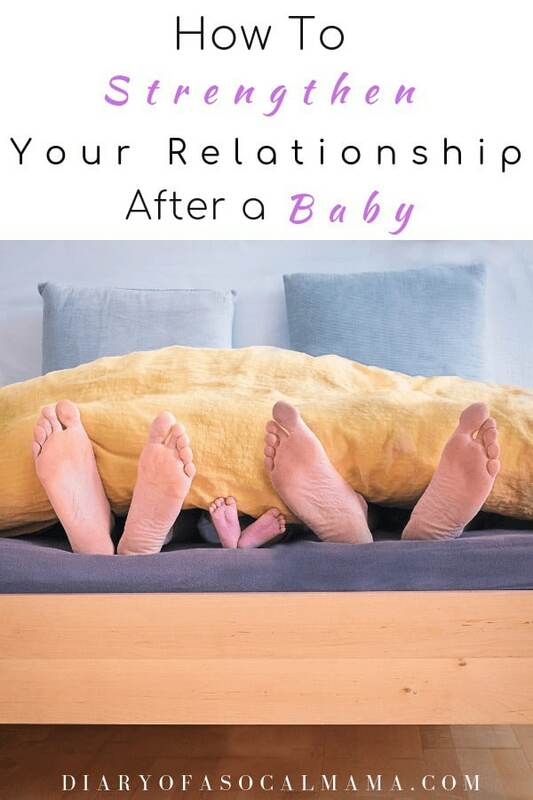 There are things you can do to help strengthen your relationship after baby arrives. One of the best ways is by using the five love languages by Gary Chapman. I don’t pretend to have all the answers but here are some things that helped us survive this rough season and come out stronger on the other side. I hope they can help you too! Knowing your love languages is an important part of any relationship. 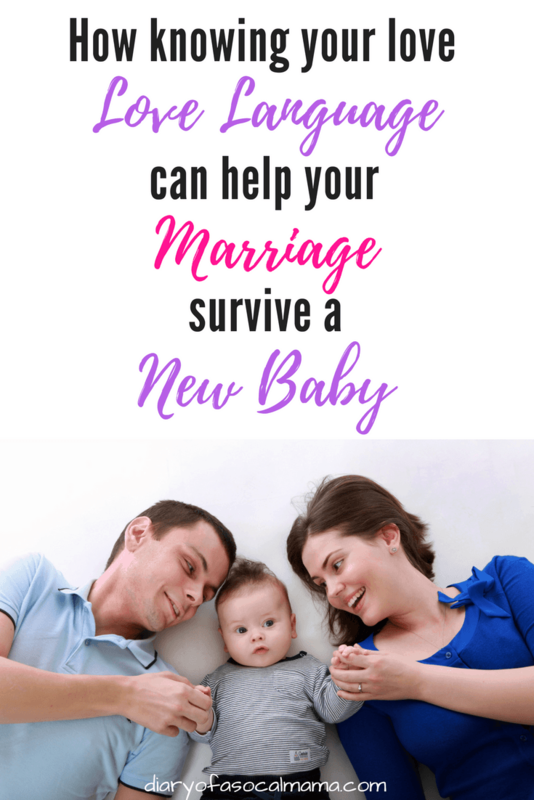 Re-evaluating them can really help to strengthen your relationship after baby arrives. My husband recently asked me to retake the 5 Love Languages quiz. My primary has always been quality time and his was physical touch. But as any new parents know, those are both in short supply when your day is run by a 6 month old dictatress. So, he asked that we check in on what our secondary love language in an effort to find out how we could show each other love in a season where our primaries have to take a back seat. After taking the test it turns out that the secondary love language for both of us is acts of service. Acts of service can be so many things! For me it might look like buying his favorite foods at the store, buying him a new shirt he’ll like, doing all the dishes, bringing him coffee, or cooking him breakfast. For him it might be bringing me a milkshake on his way home, getting up with the baby in the morning and prepping her for her morning feeding, letting me take an extra long hot shower, or watching the bachelor with me without making any snarky comments! Little acts of service and selflessness go a long way during the stress of new parenthood. They serve as little reminders that we still love each other when quality time and physical touch are hard to come by. During this season we have to find other ways to give and receive love for one another. Taking a few minutes to focus on each other can help to strengthen your relationship. If you haven’t taken the test yet you should! Too often we try to give love the way we like to receive it and then wonder why our partner seems dissatisfied. Another good one to take is the apology language. Just like you need to give love how it will be best received you need to apologize how it will best be received as well. Both tests can be found on the 5 love languages website. The website will give you the basic results. To explore more about what your love languages mean you can grab the book or ebook on Amazon. 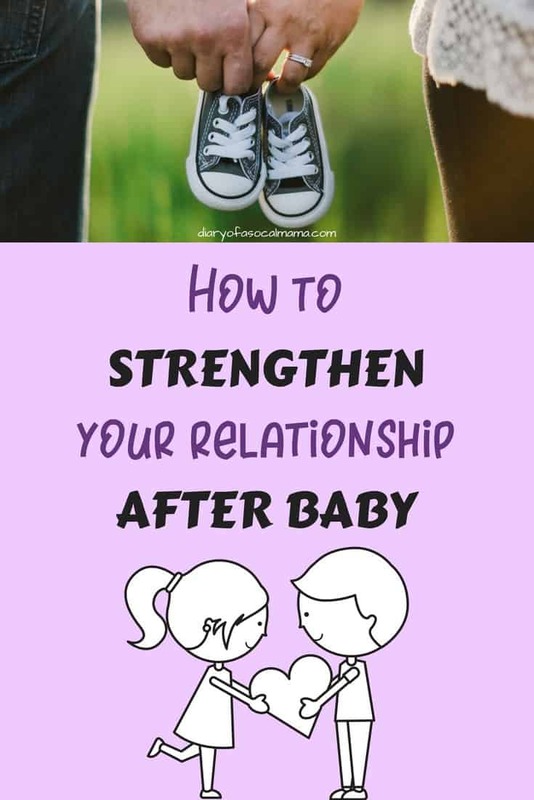 How else can you strengthen your relationship after baby and keep the love alive during this busy season? I’m usually not one for acronyms but as I was typing this up they started to spell out a word that went along great…PHASE. – Pause. Pause before speaking in anger, emotions run high when you’re tired and stressed and you need some extra grace for your partner. –Have grace. Grace for yourself when you lose your cool or don’t finish your to-do list. –Accept help. Let family and friends spell you for a date night or help with the chores. Your little one will be ok for a few hours. And it’s only your pride that won’t let you say yes to family or friends helping with dishes or sweeping the floor. – Stay connected. Check in with each other regularly. Take a few minutes before bed to ask about each others day or just see how the other is doing. Find out what each others stressors are and how you can help each other. – Enjoy! Remember this is just a season. Before you know it your little ones won’t be so little anymore and you can focus more on your primary love languages again. What tricks do you use to stay connected to your significant other during busy seasons? Take the 14-day love note challenge to help reconnect with your spouse. I’ve always found the Love Languages as a great resource. It’s so helpful in understanding yourself and your spouse. I’ve heard so many great things about the 5 Love Languages! The first year of motherhood/parenting can be so tough on relationships. Communication is so important! We also took the love language test after our first was born. With the lack of sleep and not having time to eat properly, we were both a bit grouchy. It really helped us figure out how to show appreciation on days where we lacked energy. It is very hard when you have children and it can put a strain on a marriage. I am working on not saying things in anger to upset my husband as I have learned that things said when angry, tend to hurt the most. Will do this test now! Thanks. I feel like every parent’s love language has to be acts of service! So much to be done and so little time! 😀 Thank you for sharing at Mama Blog Monday! Such a great reminder! Yes! I’m guessing a lot of parents love language shifts to Acts of Service since your time becomes so limited. Thank you for hosting Mama Blog Monday!